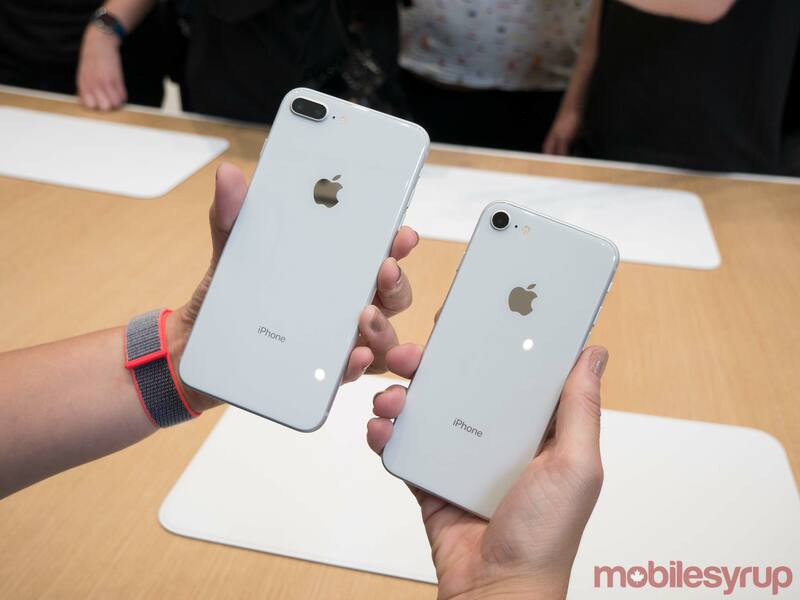 The iPhone 8 and 8 Plus are iterative alternatives to the iPhone X, a more substantial, pricey upgrade over the iPhone 7 and 7 Plus that’s likely to be difficult to hunt down when Apple releases it on November 3rd. While the iPhone 8 is undeniably less exciting than its more expensive sibling, it does borrow many of the device’s more interesting features. 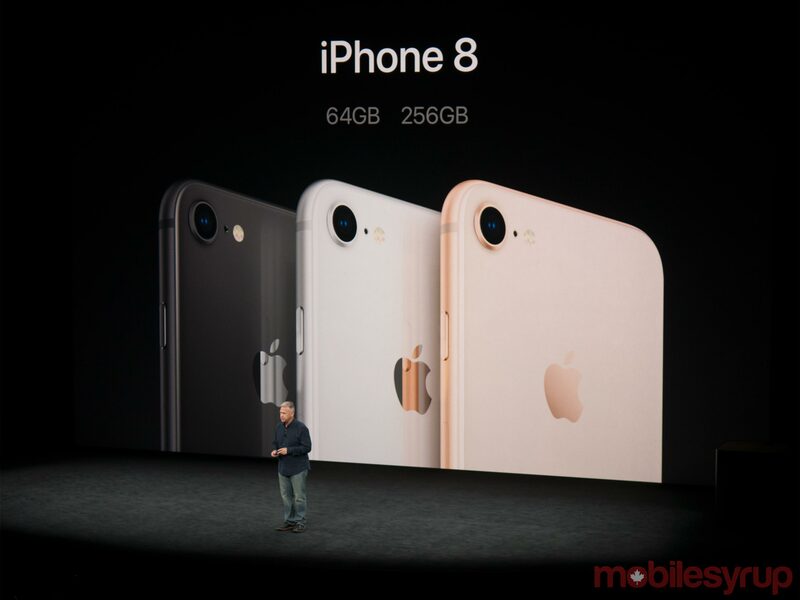 The question surrounding the iPhone 8, however, is whether the changes Apple has made over its predecessor are substantial enough to warrant an upgrade. Depending on what version of the iPhone you’re currently using, the answer to this question will be different. To start, it’s worth pointing out that the iPhone 8 is almost visually indistinguishable from 2014’s iPhone 6. Those large-looking bezels, that now look even bigger when compared to phones like the Note 8 and Essential Phone, are back. If you were hoping for a less iterative aesthetic with the iPhone 8, you’ll be disappointed. 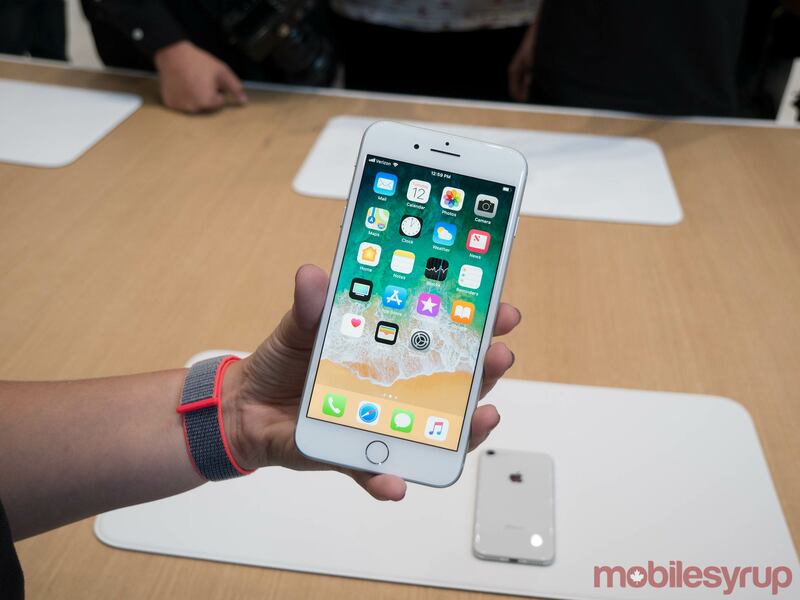 On a more positive note, given the substantial change the iPhone X marks for the iPhone line, those adverse to some of Apple’s more controversial moves with the new, ultra high-end smartphone, particularly the company’s decision to remove the Home Button, will find the iPhone 8’s design familiar and reassuring. That said, given that the iPhone X is expected to be in short supply, the iPhone 8 and 8 Plus will likely end up being the smartphone many who are hoping to upgrade from their current 7 and 7 Plus, or even from an earlier version of the iPhone, will end up with. Design-wise, the iPhone 8 looks nearly identical to the iPhone 7. 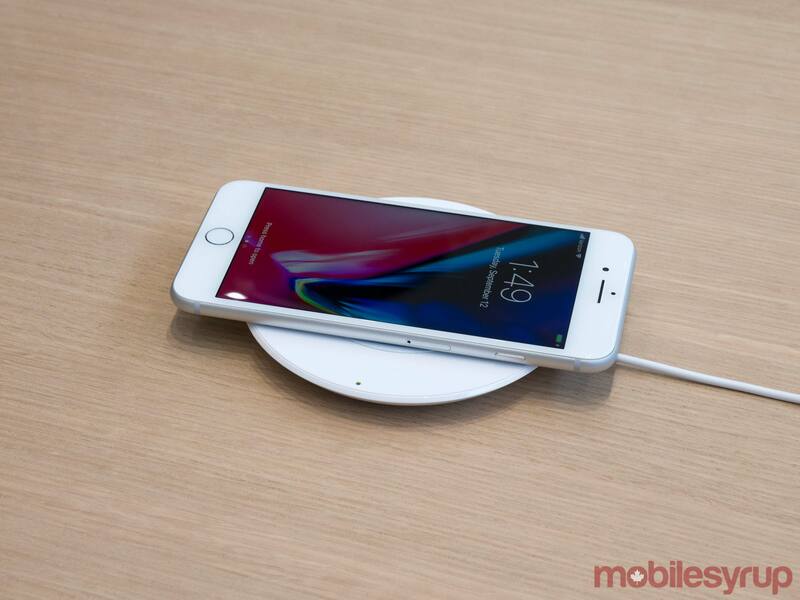 The only substantial change is a glass back that’s been added to the smartphone to facilitate Qi-based inductive charging. The company has also added a new creamy gold colour to the mix that didn’t appeal to my personal taste. 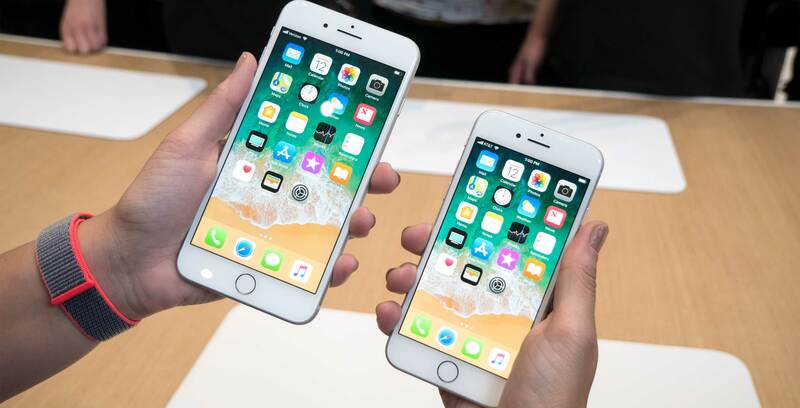 Other specs you may have expected to change such as screen size and resolution remain the same, with Apple intent on keeping the major upgrades in its iPhone line to the X. 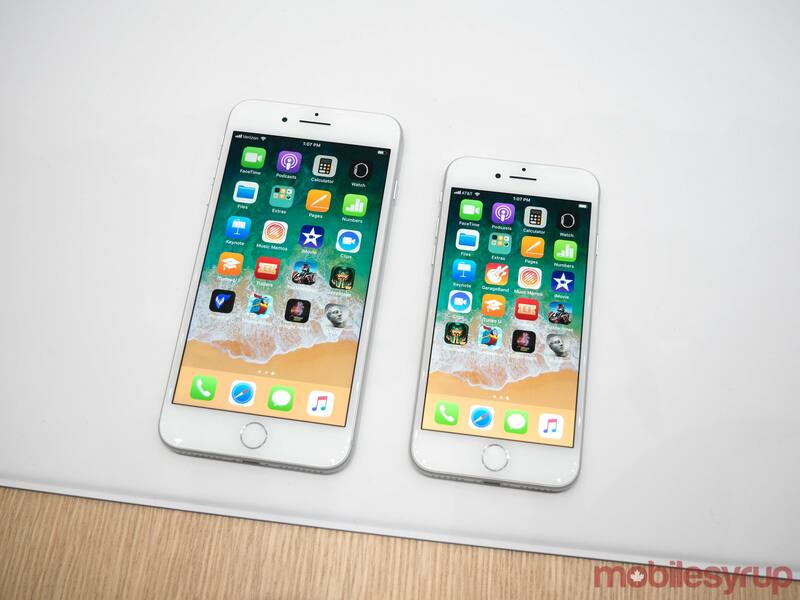 For example, the screen once again measures in at 4.7-inches with the 8, and 5.5-inches with the 8 Plus. The iPhone 8 and 8 Plus also still feature LCD displays and identical display resolutions to their predecessors — 1334 x 750 pixels with the 8 and 1920 x 1080 pixels in the Plus. 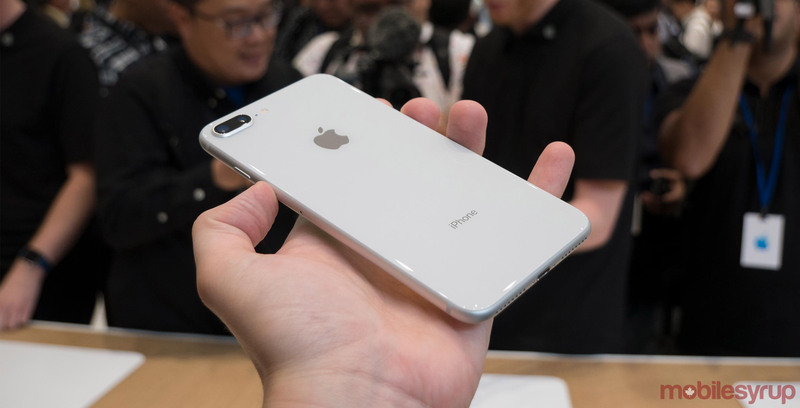 It is worth noting that both the iPhone 8 and 8 Plus are thicker and heavier than the 7 and 7 Plus, though not by much of a margin. I wasn’t able to tell a weight difference between my iPhone 7 Plus and the iPhone 8 Plus. Apple has also opted to jump to 64GB of storage for the iPhone 8, a move the tech giant likely should have made a few years ago. 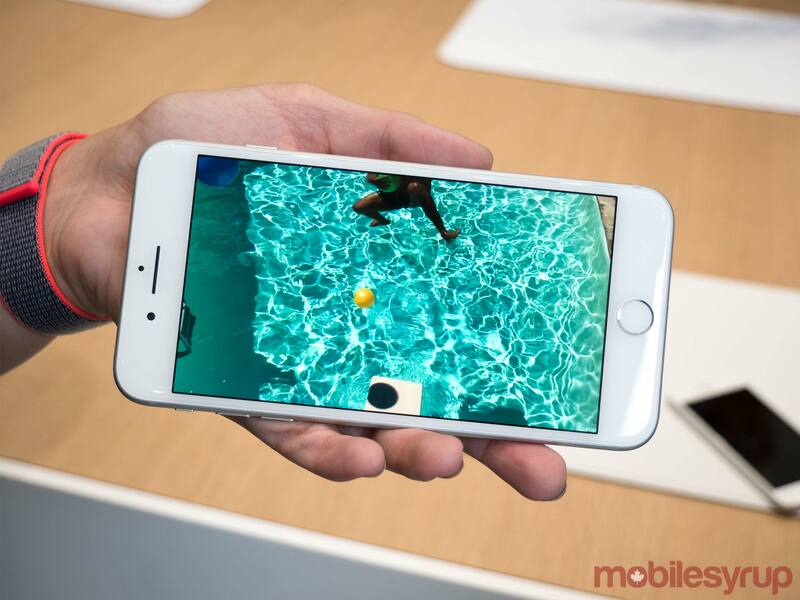 It’s often difficult to judge aspects of a smartphone when jostling for position on a crowded show floor, but when it came to performance, the iPhone 8 seemed impressive, particularly the ARKit-developed augmented reality app shown off in the demo area. It looks like Apple’s new Bionic A11 processor, the same silicon the company will ship with the iPhone X, likely does amount to the 20 percent increase in power the company claims, though as always, I’ll have more to say about how the chip performs in my final review. Even battery life, a feature Apple typically increases every year, remains the same, according to the tech giant. As is typical with Apple’s smartphone line, those who opt for the Plus version of the new iPhone will get a device that features higher-end photo features. The 8 Plus’ Portrait Mode, a feature that adds a DSLR-like depth-of-field effect to images, feels slightly more natural this time around. 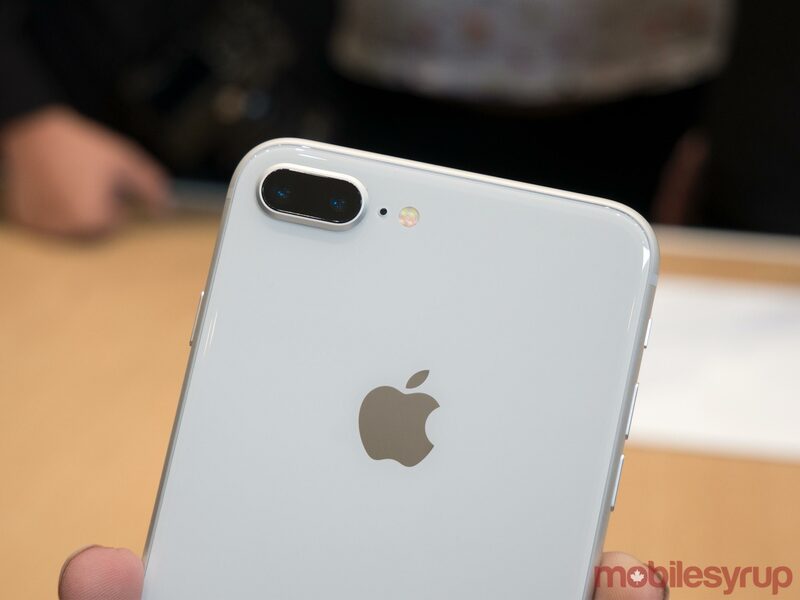 The company has also added a new adjustable lighting feature to the iPhone 8 Plus’ arsenal of photography features that allows users to change the lighting of a portrait photo both before and after taking a snap. Some may feel that this new lighting alteration makes images look too processed, but I found it to be surprisingly true to life, though more hands-on testing is definitely necessary before passing a final verdict. The ability to quickly and easily edit photos in post-production is becoming a popular smartphone feature, with Samsung’s dual-camera equipped Note 8 offering similar functionality, though only in terms of depth-of-field. It’s also worth noting that on the hardware front, the iPhone 8 and 8 Plus feature the same camera specs as their predecessors. 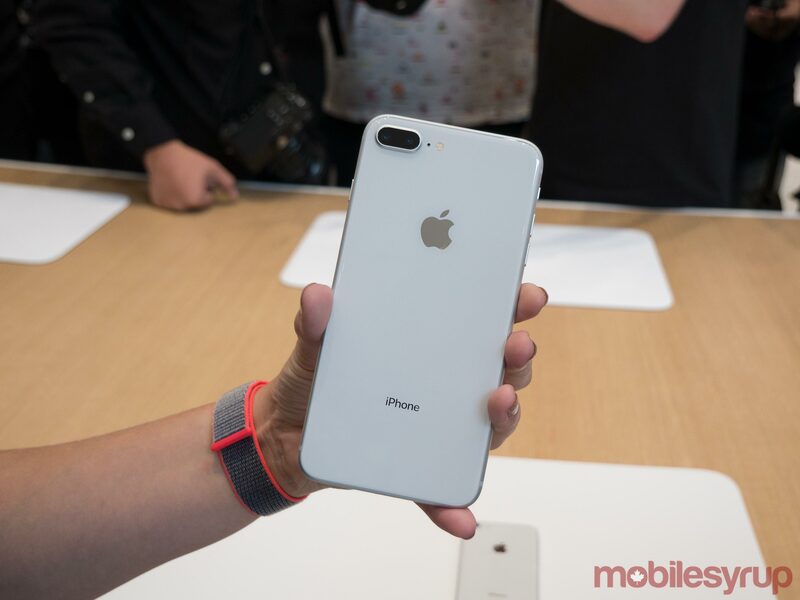 The iPhone 8 Plus comes equipped with a dual 12-megapixel camera, with the wide-angle sensor featuring an f/1.8 aperture lens, and the telephoto lens an f/2.8 aperture. 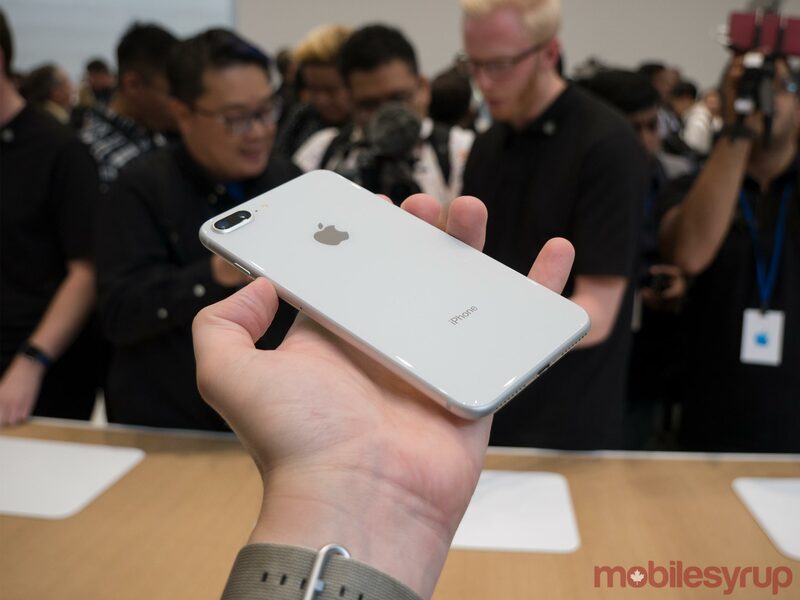 The company does claim that the iPhone 8’s new A11 Bionic chip has allowed for a variety of improvements to the phone’s image processor, particularly when it comes to low-light performance, autofocus and noise reduction. However, in my brief experience playing around with both the iPhone 8 and the 8 Plus’ camera, I wasn’t able to detect a discernible difference in image quality, so more testing is on this front is definitely necessary. My main issue with the iPhone 8 is that it feels more like a stop-gap measure until the iPhone X’s more prominent features make their way to its successors. It’s a solid phone in nearly every way, though it doesn’t feel like a substantial upgrade over the 7 and 7 Plus, especially when sitting side-by-side with the eye-catching, nearly bezel-less iPhone X. Still, this likely will be the iPhone many people who are hoping to upgrade their device will end up with, if only due to the scarcity of the iPhone X.